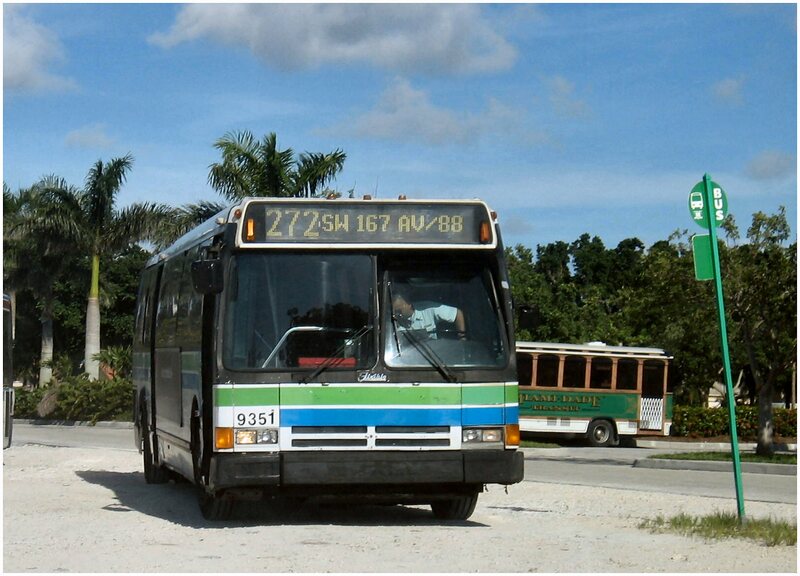 In 1993 MDTA purchased 93 buses from Flxible. They were numbered 9301-9373. Originally, the first 32 or so buses came numbered 93201-93232. that's why in the original livery, there was an empty space in the front facing set of numbers after the last digit.. They were re-numbered before they entered service. 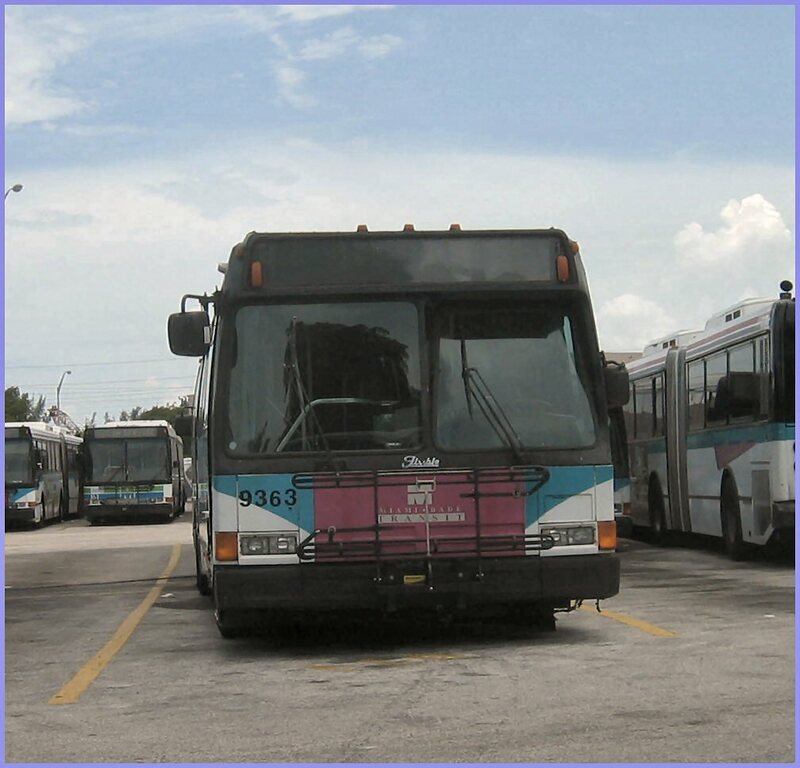 Bus 9301-9358 were powered by the Cummins C8.3, and 9359-9373 with the Detroit Diesel Series 50. Both were mated to the Voith 863 three-speed automatic transmission. The 9300s had two features that made them very unpopular with operators. They had an inverted truck type brake pedal, and a notoriously long throttle delay on the Cummins powered buses. The brake pedal was modified to the traditional type and the Cummins engines were "tweaked" for more power. However, that made the engines very smoky and were unreliable in hot weather. Beginning in 2000, they were re-powered to the faster, more reliable Cummins ISC engines. 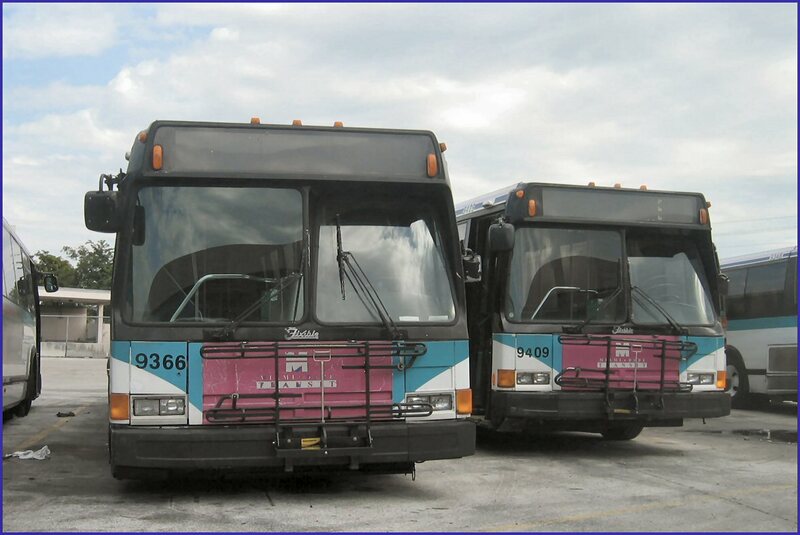 Most of the 9300s were retired in 2006. But due to a bus shortage and problems with the Optima Opus buses entering service, they were pressed back into service. They were finally retired in July of 2007. Quite a few 9300s have been donated to churches and communitty groups. 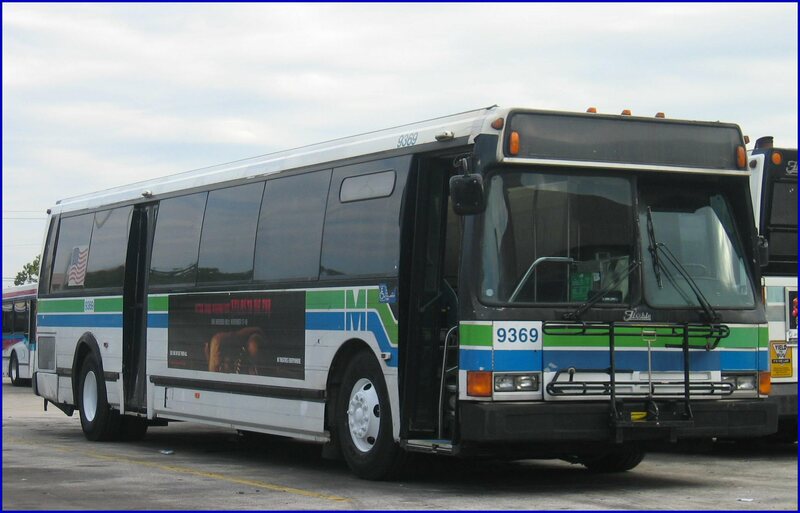 Some, such as 9320, are used as "Government On the Go" buses by Miami-Dade County bringing county services closer to people. It is unknown if MDT will preserve a 9300 in the historic fleet. Bus 9351 in July 2006, now running out of Coral Way Division on the Route 272. Bus 9301, delivered as 93201. 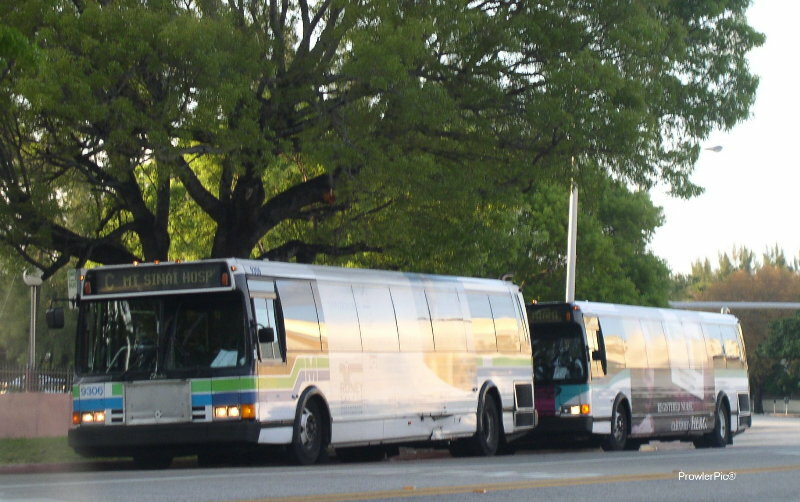 Series 50 powered buses 9369, 9366, and 9409 prepped to return to service in November 2006. 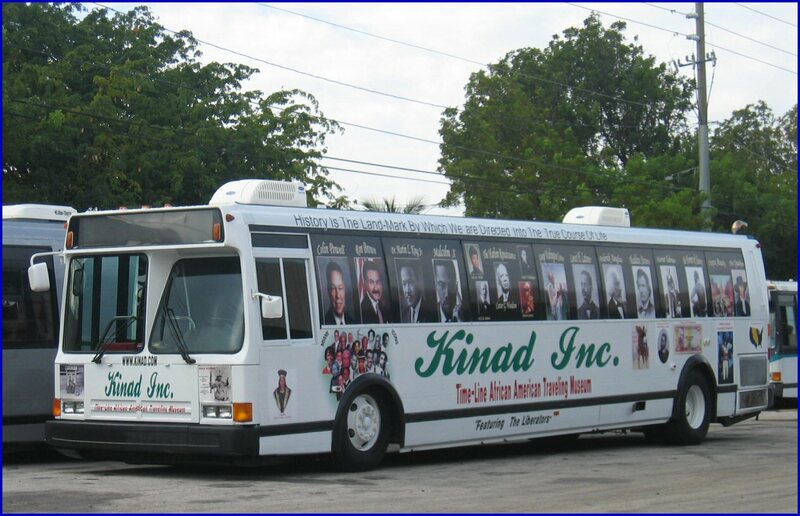 The 9306 in service and 9306 donated to Kinad, Inc. The bus is now a rolling display of African-American history and culture. 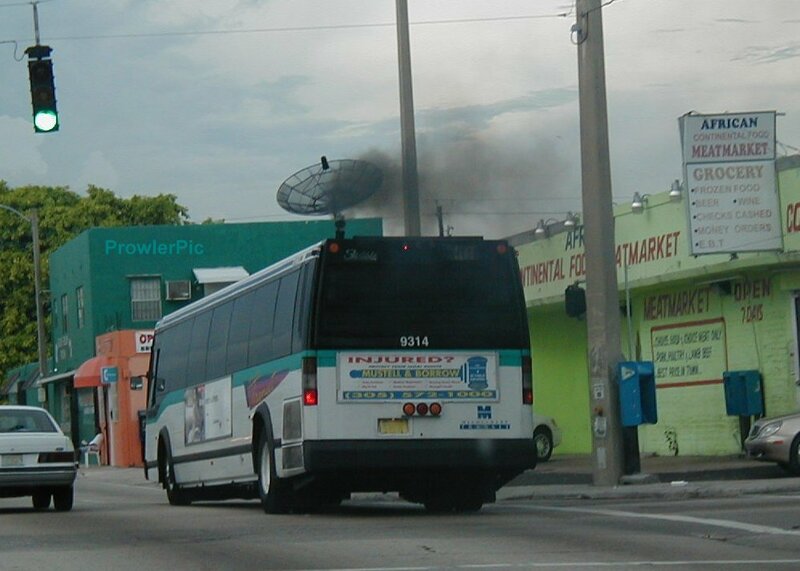 A smoky 9314 working its way north on Route 22 in Liberty City.